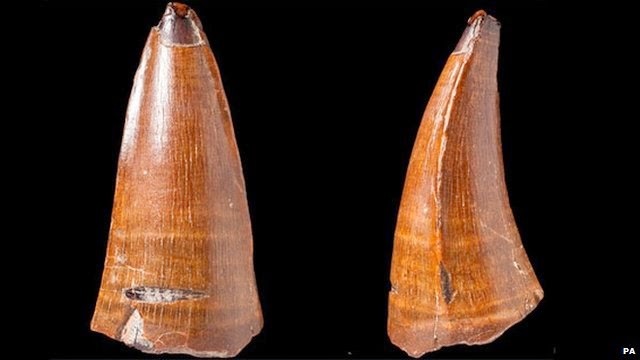 Paleontologists have uncovered one of teeth of the most fierce ancient reptile in the world. Dental reptile was found in Chesil Beach, Dorset, England. Its size reaches 5.5 cm. According to paleontologists, the tooth belonged to an ancient crocodile species Dakosaurus maximus. Scientists from the University of Edinburgh and curator of the Natural History Museum in London identified the teeth after auctioned online to collectors last year. Teeth that have been broken by the end of it is now stored at the Natural History Museum in London. 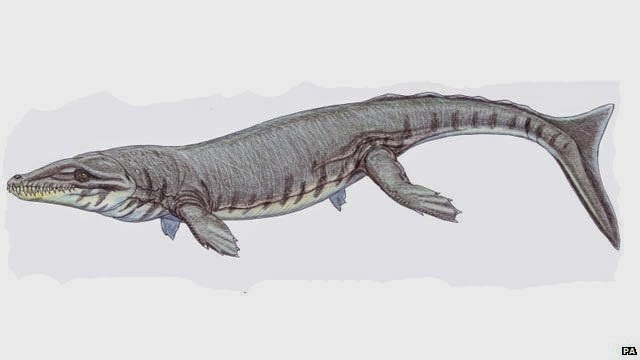 D. maximus is a marine crocodile species that live in European waters 152 million years ago. The size is approximately 4.5 meters. With this size, the crocodile is classified as wild predators, like killer whales. Mark Young, a researcher from the University of Edinburgh, as quoted by the BBC on Wednesday. May 28, 2104 said, "Seeing its size, Dakosaurus have very large teeth." Nonetheless, this ancient crocodile can not be regarded as the most ferocious predator.